Daryl Johnson (Worcester Park, United Kingdom) on 3 December 2018 in Art & Design. 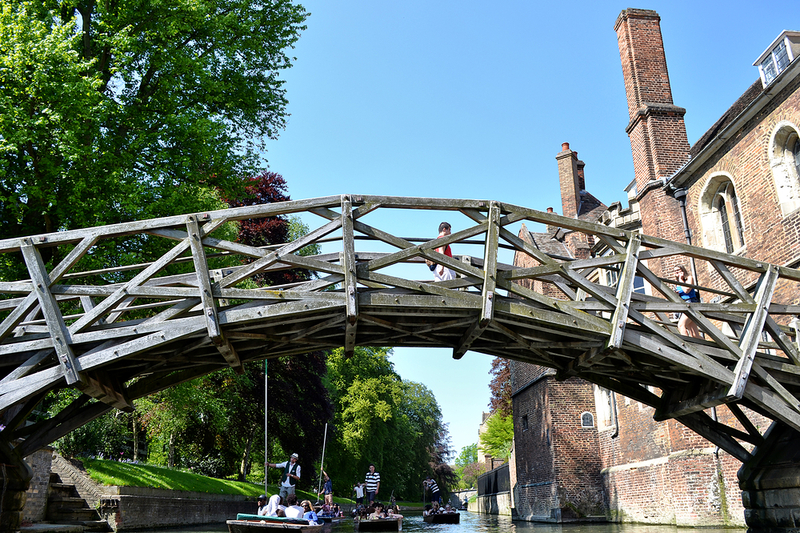 The famous 'Mathematical Bridge' at Queens' College, Cambridge. It is made up entirely of straight beams. A famous myth about the bridge is that it was built without the use of nuts and bolts. Quite untrue, but it's construction is fascinating enough. Very nice bridge and a great view. @Dreams come true: Thanks DCT! Beautiful image of this very cool and interesting bridge. A very determined piece of design there - but it works !